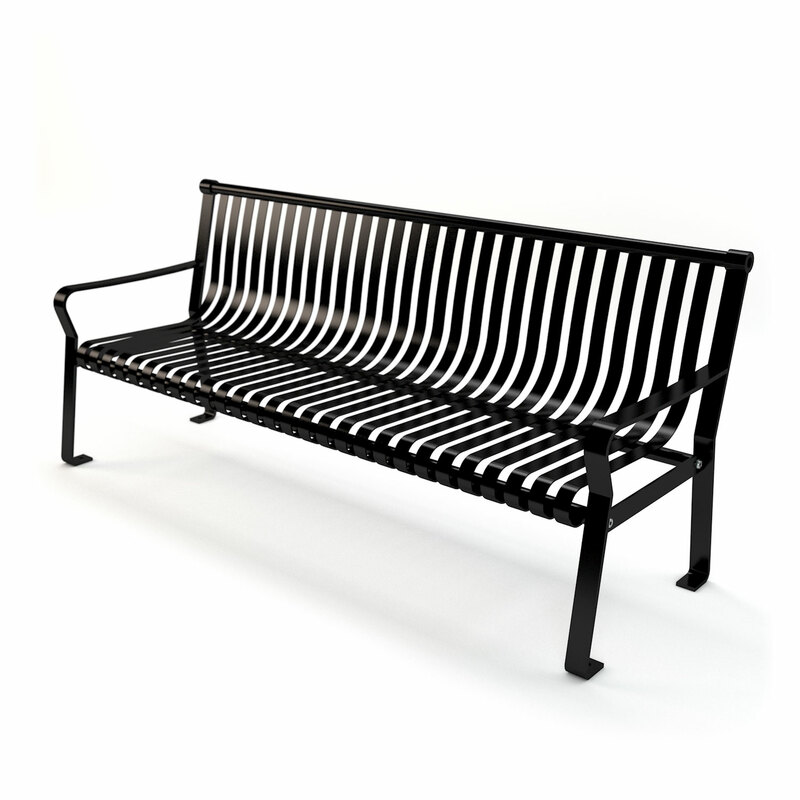 Made with eight 3” x 4” Resinwood slats and heavy-duty, powder-coated structural steel frames. This bench is a beefed up and more durable version of our Contour Bench. 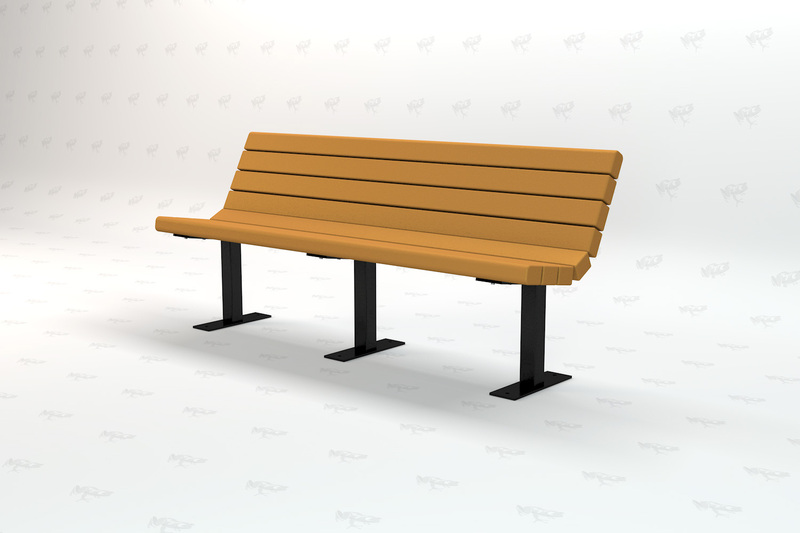 The top and bottom slats are bull-nosed for added comfort. Custom colors available for quantity orders. Heavy duty zinc coated hardware standard. Stainless steel hardware available. 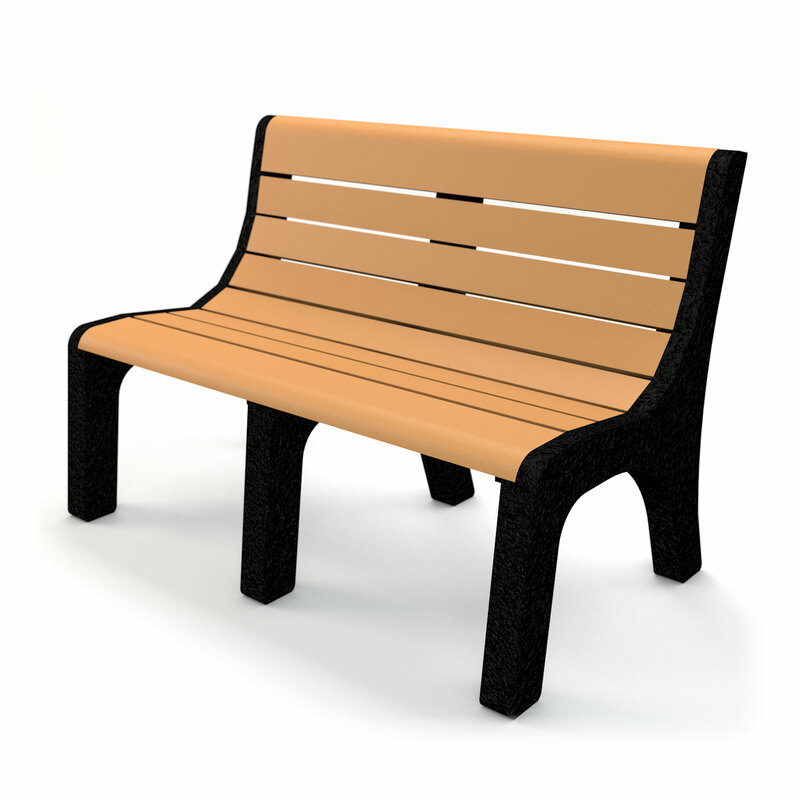 Bench comes with surface wedge anchors for mounting. 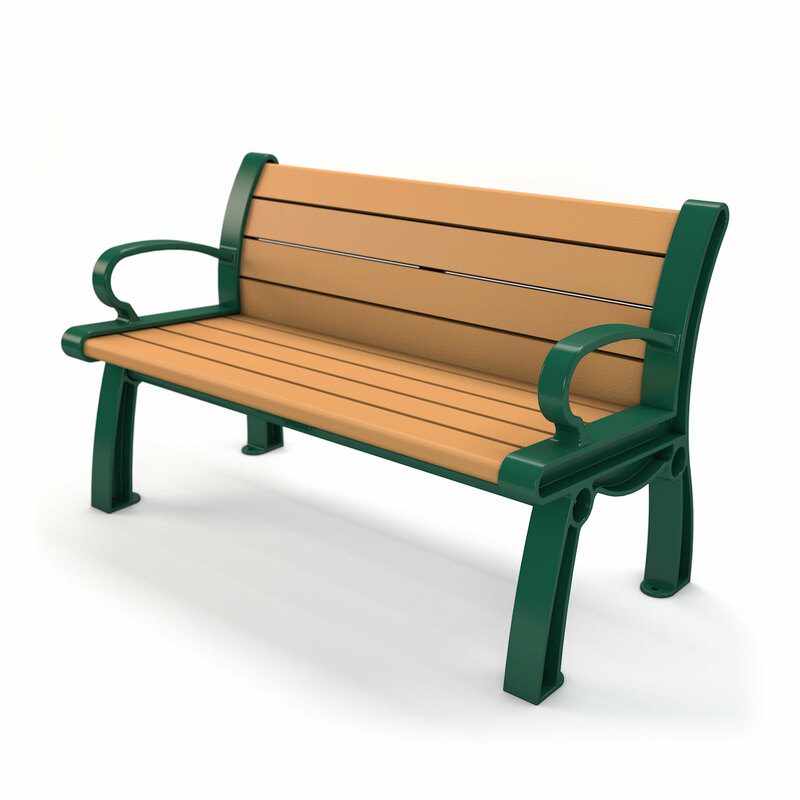 Bench frame can either be surface mount or in-ground mount. Optional armrest available for additional cost. 6 ft. / 3 bases / 190 lbs. 8 ft. / 4 bases / 240 lbs.